For a city of around 100,000 residents, Boulder enjoys a lot of reputation, evidenced by more than 23 million hits in a Google search. Part of the notoriety no doubt stems from the town’s news-making progressive stands on topics from open space to gay rights to growth limits. 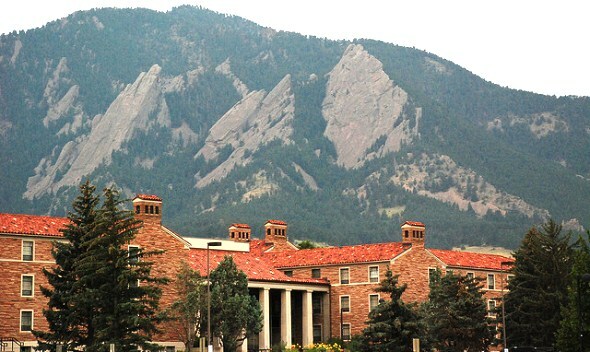 The University of Colorado, with more than 30,000 students, eight Nobel Prize-winning professors, 18 astronaut alumni and frequently mighty athletic teams adds a hearty level of interest, as do the ground-breaking federal research labs. The tragic, and unsolved, murder of a six-year-old little girl named Jon-Benet Ramsey in 1996 added worldwide attention to the town. Boulder’s location and fitness ethic draws thousands of visitors to enjoy the great weather by bicycle, hiking trail or simply strolling the town and the surrounding rural trails. The annual Bolder Boulder 10-k foot race, the fifth largest road race in the world, draws 54,000 runners, walkers and wheelchair users from around the country and abroad. Ironman triathlon races and amateur and professional bicycle races also attract crowds. The city has been a trend-setter on the political front, with laws limiting homebuilding, establishing an open space tax to preserve green spaces, protecting gay rights (and defending that protection to the U.S. Supreme Court). But plain old quirkiness surely plays a role in the Boulder brand. “Only in Boulder” is a frequent comment, admiring or sneering, when the town’s name comes up, and “Keep Boulder Weird” is a popular bumper sticker. The impromptu Halloween Mall Crawl crammed 50,000 bizarrely costumed partiers onto the four-block Downtown Mall until the city shut it down. Now it’s mostly little ones at the Halloween afternoon Munchkin Madness. Before legal marijuana, ganja fans gathered at the University of Colorado campus on April 20 to smoke their support; the ghoulish fun of Frozen Dead Guy Days in nearby Nederland celebrate Bredo Morstoel, whose body was stored in dry ice in a shed by his grandson who was awaiting advances in cryogenic rejuvenation; costumed adults on tricked-out tricycles sometimes pedal a course between taverns in the Almost-Annual Matt Armbruster Memorial Big Wheel Rally for charity. So far, there appears no danger of Boulder running out of weirdness. Land area: 24.5 square miles. County: Boulder County (Boulder is county seat). Altitude: 5,430 feet above sea level.